A farmer from a village in the occupied West Bank, cut off from his olive groves by the construction of Israel’s controversial separation wall, asked Israeli human rights lawyer Michael Sfard to petition the courts to allow a gate to be built in the wall. While the gate would provide immediate relief for the farmer, would it not also confer legitimacy on the wall and on the court that deems it legal? The defense of human rights is often marked by such ethical dilemmas, which are especially acute in Israel, where lawyers have for decades sought redress for the abuse of Palestinian rights in the country’s High Court—that is, in the court of the abuser. 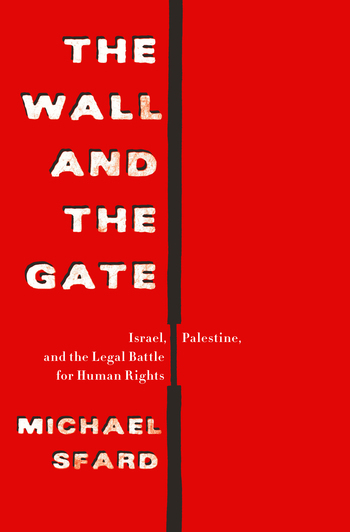 In The Wall and the Gate, Michael Sfard chronicles this struggle—a story that has never before been fully told— and in the process engages the core principles of human rights legal ethics. Sfard recounts the unfolding of key cases and issues, ranging from confiscation of land, deportations, the creation of settlements, punitive home demolitions, torture, and targeted killings—all actions considered violations of international law. In the process, he lays bare the reality of the occupation and the lives of the people who must contend with that reality. He also exposes the surreal legal structures that have been erected to put a stamp of lawfulness on an extensive program of dispossession. Finally, he weighs the success of the legal effort, reaching conclusions that are no less paradoxical than the fight itself.